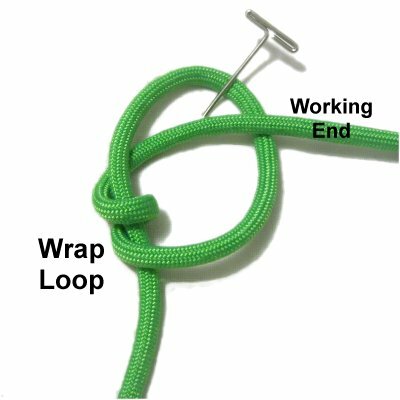 Description: The Wrapped Ring is easy to tie and results in a flexible design that can be used in a variety of Macrame projects. It's not going to be perfectly circular, so keep that in mind if you use it in your project. It can be used at the top of items like plant hangers and wall hangings, if you prefer not to use a regular ring. Just mount the cords over the knot at the bottom (to hide it). This ring makes a great clasp for Micro-Macrame bracelets and necklaces. However, when made with fine materials 2mm or less, it will have a tendency to twist somewhat. To avoid that, the coils should all be tightened the same. Also, make it as small as possible. I recommend you practice making it with the material you are using for your project, to see if it will be suitable. To practice, you need one cord, at least 50 inches long. 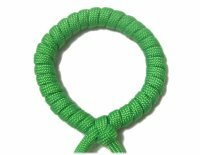 When using the Wrapped Ring in a Macrame project, you would start it at the center of the cord. One half of the cord will become shorter than the other. You can try to start it elsewhere on the cord, but chances are the two halves will still be different lengths. Step 1: Secure one end of the cord to your board vertically. Make a 2-inch clockwise loop approximately 6 inches from the secured end of the cord. 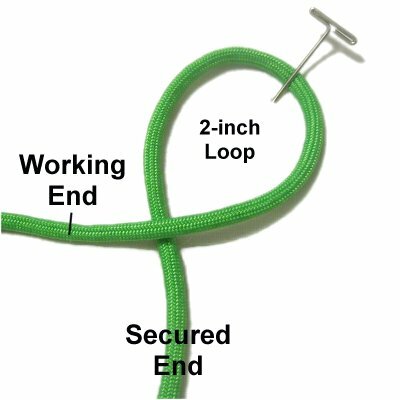 Step 2: Wrap the working end around the loop over and over until it's completely covered. You may find this easier if you hold the cord after the first few wraps are made. Make sure the coils are tight and do not overlap. Push them close together as you progress. Designer's Tip: The reason these instructions were changed was to avoid the uneven surface that was on the original design. By wrapping in one direction, the ring is much smoother and more appealing. Step 3: Pull the secured end firmly to tighten the ring. You may need to push the coils together, or even tighten them more afterward. Make adjustments now, before moving on to the next step. 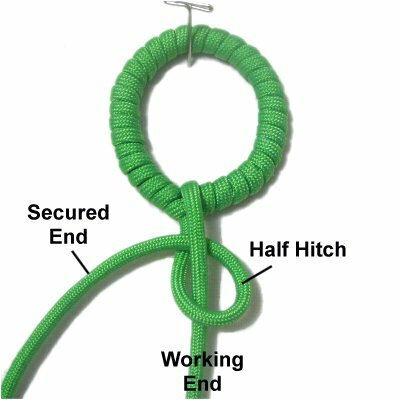 Step 4: Complete the ring by tying a Half Hitch with the secured end around the working end. 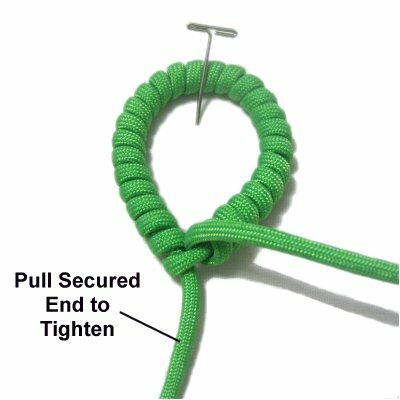 This is optional if you prefer to finish it with a different type of knot. 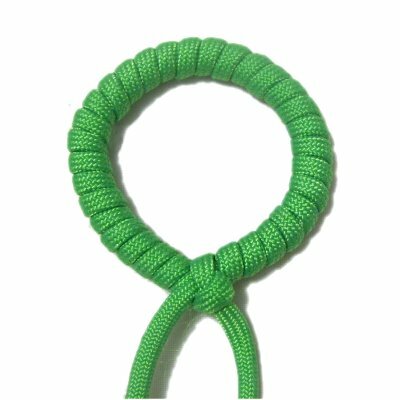 You would now use the remaining material for other knots, if you are making something like a bracelet. To hide the knot at the bottom, you can place other cords over it, such as if you were using the ring in a plant hanger design. Have any comments about the Wrapped Ring? Contact Me.